Hello Beauties, How are you doing today. If not too well, then I am sure this post is going to feel a lot better. Hopeful. 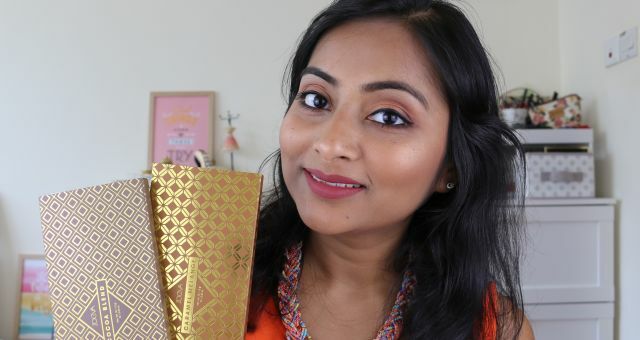 Today, I am writing about one of my favourite eyeshadow palettes, across high-end, low-end, drugstore eyeshadow palettes. 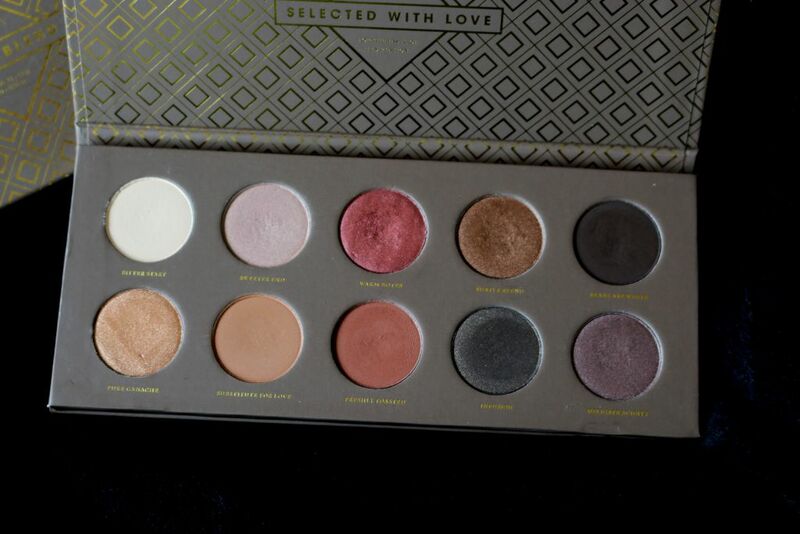 Actually, I am not sure where this palette falls. Its not super expensive but its not cheap either. Let’s just call it mid-range. 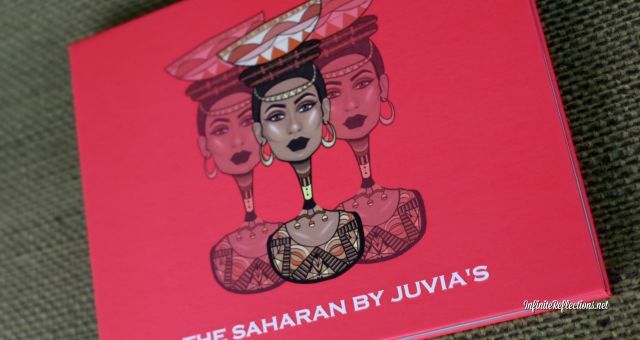 I am talking about the beautiful Zoeva “Cocoa Blend” eyeshadow palette. By the way, I love the name ZOE (the Greek word for ‘life’ ) EVA (the very first woman), it has such a beautiful meaning. True to its name, I think Zoeva cosmetics have some of the amazing products out there but I feel like its quite under-rated. The “Cocoa Blend” palette doesn’t disappoint either. 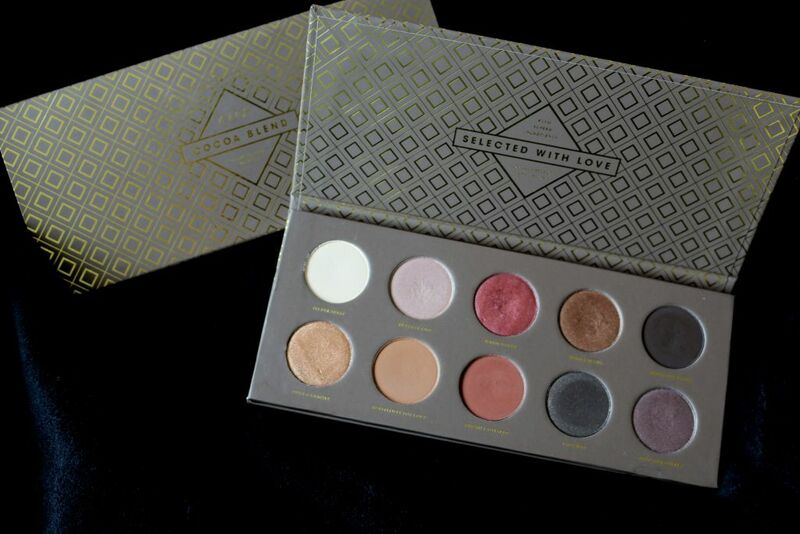 Each and every eyeshadow in this palette has amazing quality and pigmentation. 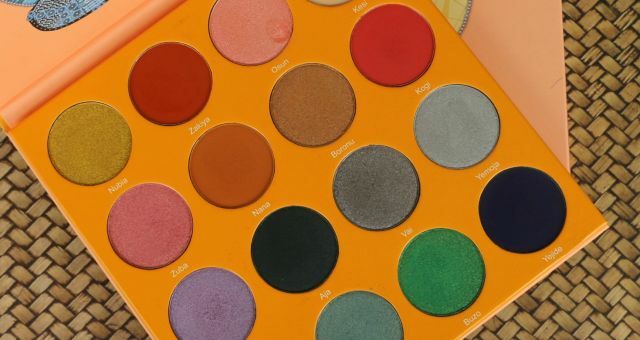 They are so easy to work with, really blend well and the color range of this palette is to die for. 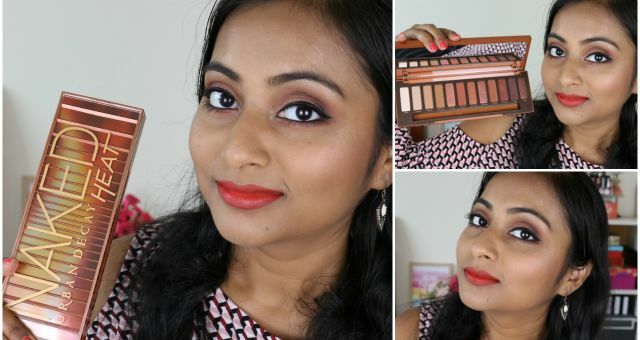 Each and every color works so well together and you can create so many looks with this right from very neutral daytime look to a bold nighttime look. The shimmer shades in this palette are just amazing quality, they are so buttery smooth but still have that glam sheen and shine. Each pan contains 1.5 gm / 0.05 oz of products and there are 10 eyeshadows in total. 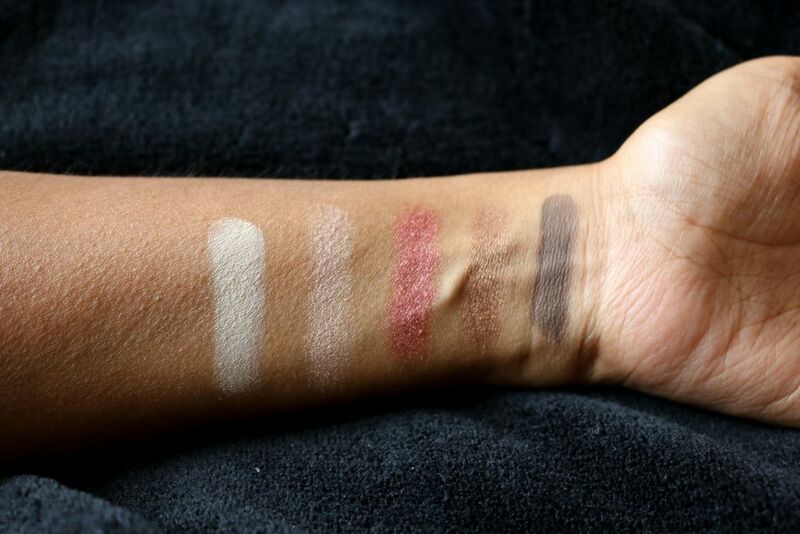 Let’s look at the colors more closely: Top Row (Left to Right) : Bitter Start, Sweeter End, Warm Notes, Subtle Blend, Beans are White Bitter Start – Matte creamy white, can be used as eyebrow highlight. Sweeter End – A Shimmery greyish-taupe shade, just so beautiful. A very unique shade in my opinion. Warm Notes – This one is one of my favourites. A very deep rich plumy burgundy with a hint of maroon shimmer shade. Just plain gorgeous. The pigmentation and softness of the shimmer shades is just amazing. My swatch photos are certainly not doing any justice. Subtle Blend – A beautiful coppery brown shimmer shade, more towards the deeper side. Again its amazing. Beans are White – A super pigmented matte black with a hint of grey. Perfect for the smoky effect. 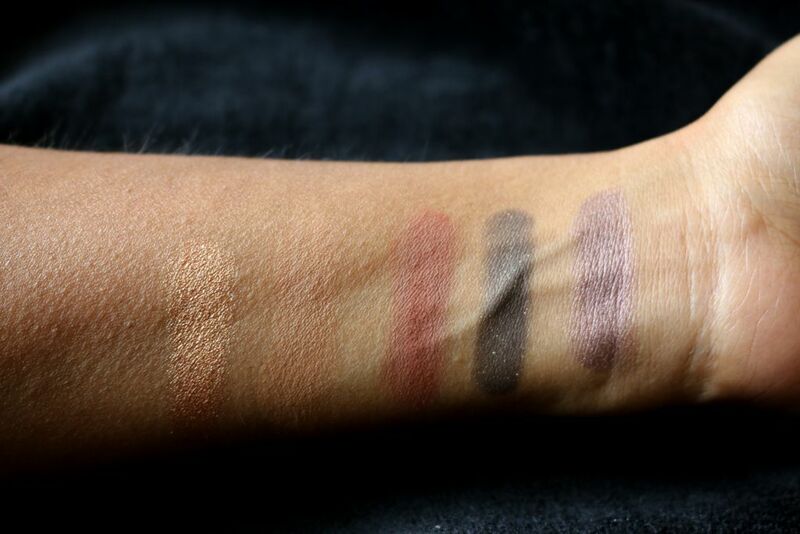 Bottom Row (Left to Right) : Pure Ganache, Substitute for Love, Freshly Toasted, Infusion, Delicate Acidity Pure Ganache – Another amazing shimmer shade. This is more of a coppery gold shade more towards the gold. You have to swatch his to believe the pigmentation. So on point! Substitute for Love – Nice browny beige matte shade. Perfect as a transition shade on my skin tone. Freshly Toasted – This has to be one of my favourite matte brown shades across all my palettes and single eye shadows. Such a nice warm fresh brown shade that I am totally in love with it. Infusion – This is like a deep greyish matte shade with tiny bits of shimmer and glitter particles. Inspite of that, it is the smoothest! Delicate Acidity – Another unique shimmer shade. This one is a greyish lavender shade which excites me every time I swatch this. To sum up, the shade range is just amazing. If you want a good start up palette to work with, I will definitely recommend this one. It is not very expensive (SGD 32) and definitely has the quality. 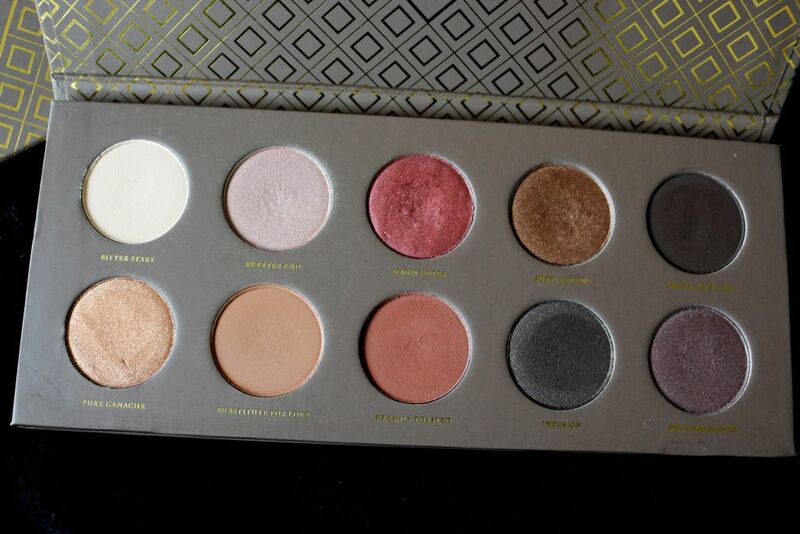 The only two downsides this palette has are:- a. It doesn’t have a light shimmer shade to highlight under the eyebrows. I would have really liked that. b. It doesn’t have a mirror. I really like the packaging of this palette. Very sturdy cardboard packaging with a magnetic closure and quite handy. It is very easy to travel with but you will definitely miss the mirror. But, inspite of the shortcomings its one of the best palettes I do own. Love this! Hope this review was helpful. Cheers!